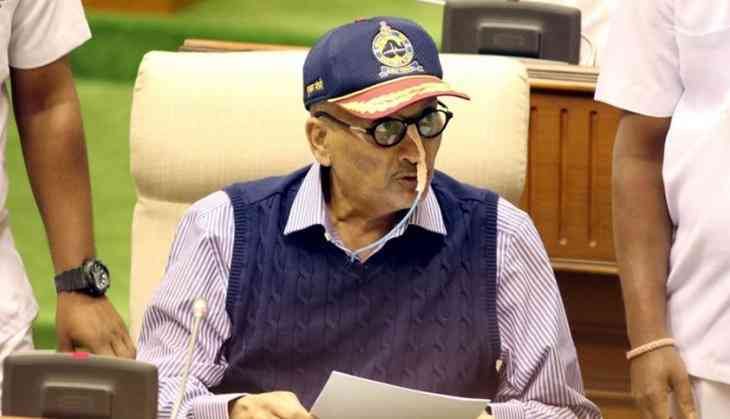 Home » National News » World Cancer Day: Ailing Manohar Parrikar on ‘duty’ with drips, tweets on World Cancer Day; here’s what Goa CM has to say! World Cancer Day: Ailing Manohar Parrikar on ‘duty’ with drips, tweets on World Cancer Day; here’s what Goa CM has to say! Ailing Goa Chief Minister Manohar Parrikar, who has been diagnosed with life-threatening disease ‘Pancreatic Cancer’ and is currently being at Delhi's All India Institute of Medical Sciences (AIIMS) today took Twitter to share an emotional quote on the World Cancer Day. He tweeted that the human mind can overcome any disease, using the hashtag #WorldCancerDay. "Human mind can overcome any disease. #WorldCancerDay," he tweeted. The tweet has garnered over 1,900 re-tweets and 7,400-plus 'likes'. The 63-year-old Manohar Parrikar was admitted to AIIMS last week. The hospital sources said his condition was stable. Parrikar has been working with a tube attached to his nose. In December, he inspected bridge projects in the state, tube in his nose and two doctors by his side. He is highly praised for his dedication to his work and responsibilities. Last week, he presented the state budget the Goa assembly. He made up for his weakened delivery with rousing words: "Present circumstances have prevented me from delivering a detailed budget speech, but there is a josh that is too high, very high and I am in hosh. Fully in hosh."